Will Steely Don Leave Petrochemical Expansion Reelin’ In The Years To Come? Each year, the American Fuel & Petrochemical Manufacturers hosts the International Petrochemicals Conference, where key issues impacting the petrochemical industry are discussed: environment, the economy, and political issues are covered by industry experts, high-level managers, and key government officials. 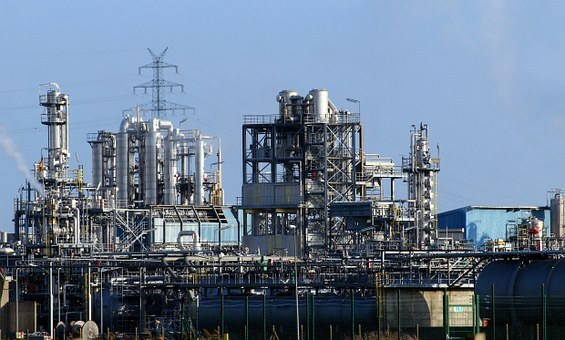 The past several years have been focused on the re-established growth in petrochemicals, particularly in North America due to the impact of shale gas: plentiful, inexpensive feedstocks have driven $185 billion of planned investment in new factories and expanded capacity, with construction projects ongoing and more investment being considered. Potential challenges to growth have previously included environmental policies that restricted fracking, pipeline infrastructure, and other issues. This year’s conference, however, included a new challenge: Trump Administration trade policies. Trump’s tariffs on steel, his rumblings on China, and his bluster on NAFTA all hit right at the heart of petrochemicals, particularly in the United States. In addition to new construction of manufacturing facilities, the price of steel impacts shipping costs. Polyethylene exports from the shale gas boom will increase by 4.6 million metric tons by 2020; this will require approximately 255,000 20-foot steel shipping containers. Raising the cost of shipping negates some of the American cost advantage that is derived from the inexpensive feedstocks. exported. Chinese retaliatory tariffs could leave the US with fewer markets for this excess production capacity. A third area where the President threatens US petrochemical growth is with NAFTA. A fierce critic of what he considers an “inartful deal,” Trump has taken a hard line on renegotiation and at times threatened withdrawal. But whatever faults may exist with the agreement, according to a report by the American Chemistry Council (ACC), under NAFTA US chemical exports to Mexico and China have increased by 450% since 1994, resulted in over $1.5 billion in tariff relief for US companies, and resulted in a highly intertwined supply chain between the 3 signatory nations. President Trump has often praised “trade surpluses” as evidence of a good deal, and the US enjoys trade surpluses with both countries under NAFTA. The ACC report warns that “uncertainty created by withdrawing from NAFTA” could, as mentioned above with the steel tariffs, delay or terminate planned capital investments with tens of billions of dollars or more. The keynote speaker at the IPC, former British Prime Minister David Cameron, himself an advocate of free trade, expressed cautious hope that the President is merely using the threat of tariffs as a negotiating tactic, not a signal of a coming wave of protectionist decrees. The continued US petrochemical boom relies on this being the case.